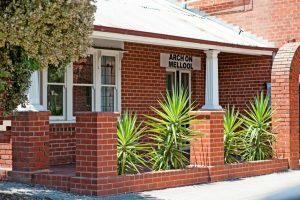 Arch On Mellool are stylish holiday apartments for you to enjoy your time away in Barham. "Such a beautiful quiet place fully self-contained luxury apartments in the heart of Barham walking distance to everything, river only across the road and pubs have great meals." 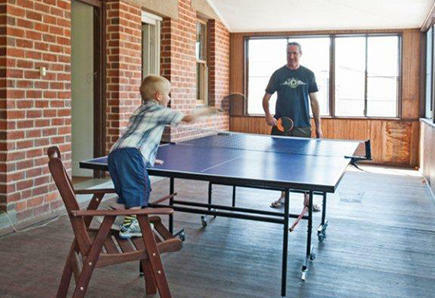 Set in the heart of Barham in a 1934 two-storey brick building within walking distance to all of the town amenities and the mighty Murray River. 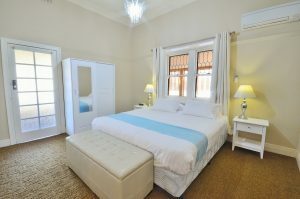 The building has beautiful ornate chandeliers, pressed tin decorative ceilings and the historical plate rail around the lounge room upstairs. 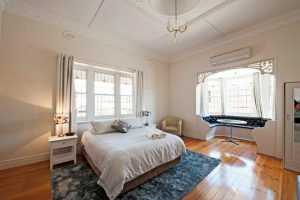 Both apartments have their own charms with Downstairs having a lead light bay window with buffet seat and Upstairs has a wrap around balcony viewing the Murray River and the village green.